Application Timeline Extension up to 25 March 2017. 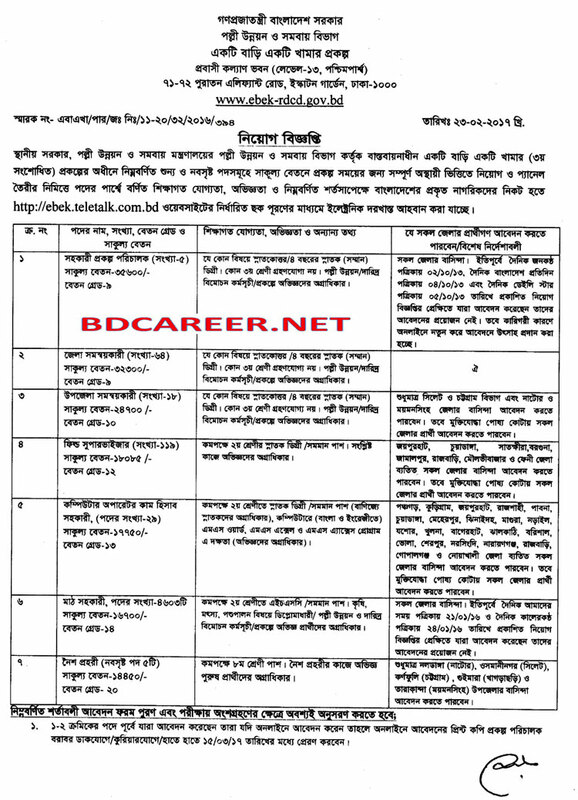 Total 4,843 Posts under One House One Farm Project Job Circular 2017. 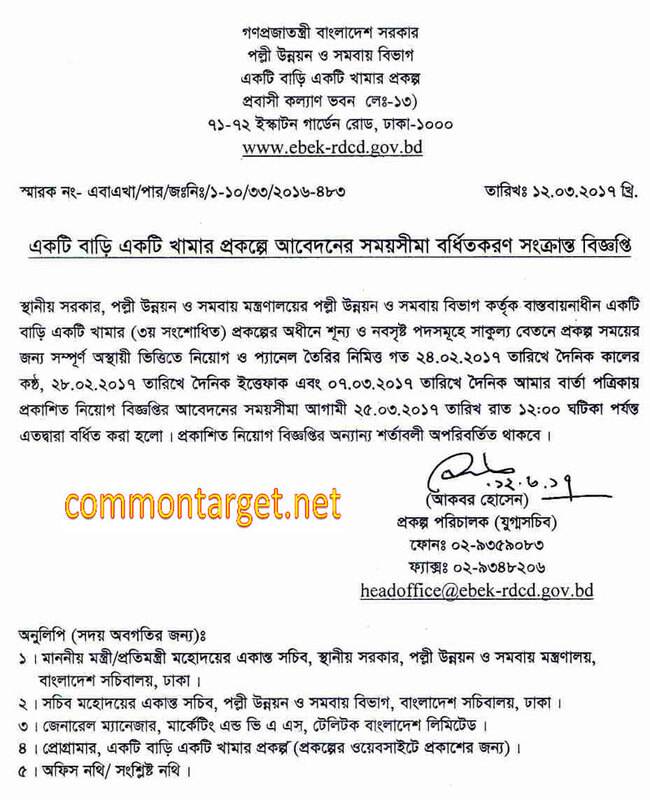 Rural Development and Cooperative Division of Local Government, Rural Development and Cooperative Ministry will Recruit 4,843 Vacant Posts under One House One Farm means in Bangla Ektee Bari Ektee Khamar is a Project of the Governments of the Peoples Republic of Bangladesh. Eligible and Interested Bangladeshi Citizenship candidates are requested to Apply Online after fulfilling the circularized conditions and instructions. Deadline for Submitting Online Application now is 25 March 2017. One House One Farm Project Job Circular 2017. Ministry of LGED, Rural Development and Cooperative Division of the Government of the Peoples Republic of Bangladesh will recruit under One House One Farm Project or Ektee Bari Ektee Khamar Project . To know more details please see the attached image Job Circular below. Online Application Deadline: 25 March 2017 at 12:00 P.M. Eligible and Interested candidates may apply through http://ebek.teletalk.com.bd for the vacant positions after fulfilling the circularized conditions and instructions above. The deadline for submitting Online Application is 25 March 2017 at 12:00 P.M.